By now, you’ve probably received your gorgeous wedding photos and can’t imagine narrowing them down for your album. If you’re anything like I was, you’re scouring Pinterest for ways to show off those glowing images without plastering them all over every single wall in your home and looking like a total narcissist. 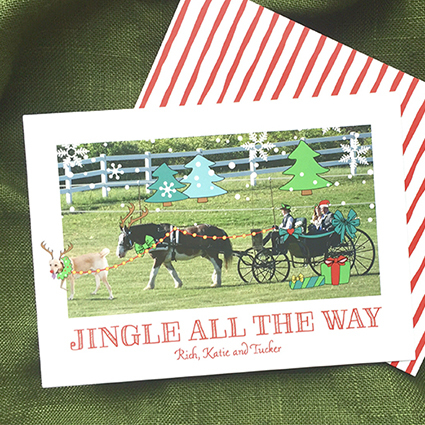 Well, the good news is holiday cards are a perfectly appropriate way to use one of those treasured photos. 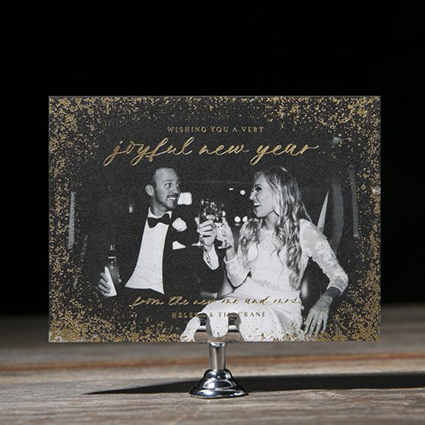 Choose something classic like this Bella Figura cards with touches of gold foil. I bet you’re feeling the same way about your engagement photos so go ahead and send out a card from the future Mr. and Mrs. If you haven’t already put together your address list, this is the perfect time to do so. 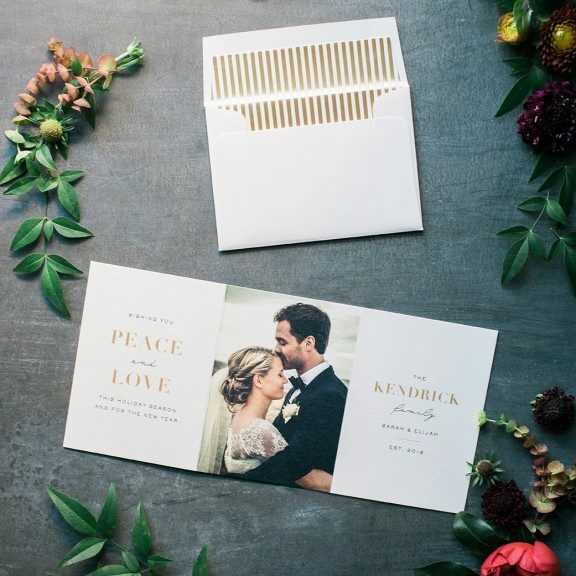 It may not seem like so much fun now, but you’ll be so grateful later when it’s time to send out your save the dates and invitations. 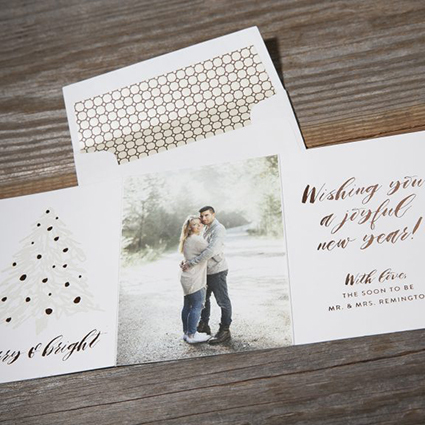 Time is flying so make sure to contact us today to get started on your holiday cards.